Officers terms end on September 30th of the year shown. Trustee terms end on September 30th of the year shown. W8AL – Yaesu Fusion analog/digital repeater is on the air! 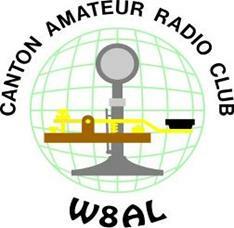 anyone interested in Amateur Radio, licensed or not. located at 4887 Tuscarawas St. W.
4500 Atlantic Blvd. NE (US RT. 62) Canton, OH. enter the west door, a greeter will let you in.